Bearish investment theses based on the 31% decline in deliveries from Q4/18 to Q1/19 depend far too heavily on a single, explainable, anomalous event. This decline was poorly modeled by the street, despite foreknowledge of the pull-forward of demand and issues relating to the first mass M3 deliveries to China and Europe. The decline should also be seen in the context of typical and seasonal softening of demand in Q1 over the past five years. The bull case is buttressed by the historical record, in that the average growth in deliveries from Q1 to Q4 over the past four years has been 80%. One of the fascinating things about following Tesla (NASDAQ:TSLA) in the stock market is the energy “invested” by equally fierce supporters and detractors. Facts are often overwhelmed by passion as increasingly entrenched opponents attempt to dominate the ways in which every new news item should be framed. The most recent case in point is the production and delivery report for Q1. Bears see it as yet another signpost of the apocalypse, a collapse of demand soon to be followed by a declaration of bankruptcy, or at the very least a huge drop in the share price. Bulls have obviously been having a tough time in these debates, but remain indomitable, hoping for a repetition of history, where every doubtful Q1 is eventually followed by a triumphant Q4. This article focuses largely on several of the most cogent bull arguments, suggesting that investors may be best served in holding on to their shares until the rest of FY2019 plays out. For active traders, obviously, you should have plenty of volatility to work with, selling the spikes and buying the dips. I’m working with the general presumption that Tesla’s deliveries and revenue will improve significantly in the ensuing three quarters, and I’ll also presume this should have a positive influence on the share price, as long as we’re all aware that presumptions are not givens. To begin with, let’s put the Q1/19 delivery report into historical perspective. The list below indicates yearly growth of deliveries from 2012 to the present. It’s worth noting that the past seven years have been littered with two kinds of failed predictions. One kind (much of it originating from Tesla itself) is that production and deliveries would be much higher than the end result, while the other of course is that they would fall terribly short of expectations. But the actual record has its own rather positive story to tell, and brings up a number of important questions for investors in the here and now. For example, how much are you willing to bet that Tesla deliveries will not follow the usual Q1-Q4 trajectory? Or that Tesla will not reach minimal guidance? Furthermore, how much will investors care if deliveries rise dramatically, but fall short of minimal guidance of 360,000. Specifically, what would they say if deliveries rose by only 80K (33%) instead of 115K (47%)? The chart below focuses on sales in Q1 and Q4 from 2014 to the present, and is intended to offer some perspective on the recent sequential decline. Q1 is almost invariably the weakest quarter in a given year, while Q4 is typically the strongest. As everyone knew in advance of the Q1/19 results, the tax rebate for EV purchases in the US would be reduced from $7,500 to $3,750. Given that the US was home to ~80% of total sales for Q4/19, and given that every analyst on the planet as well as Elon Musk himself predicted there would be a pull-forward of demand from FY2019 into the last half of 2018, it should have been no surprise that Q1/19 would fail to match Q3 or Q4 of 2018. As the results from January and February began to trickle in (with double emphasis on “trickle”), it’s safe to say that the bear camp was practically feverish with the idea that demand had utterly collapsed. Noted Tesla critic Anton Wahlman was predicting sales as low as 53,000 as of March 11, and Wahlman was actually on the high side in disputes with a couple of noted Tesla bulls. For example, shortly before Wahlman’s first prediction, Trip Chowdhry had predicted a total of 48K deliveries, a drastic reduction from an earlier prediction of 83,500. Chowdhry’s dramatic reversal was greeted with some suspicion in social media forums, where there were suggestions of intentional lowballing to mitigate the effect of a disastrous delivery report. Ironically, even the most diehard of bears, the conspiracy theorists, had begun to realize that Tesla’s deliveries would not be as disastrous as Chowdhry was stating. As March drew to a close, Seeking Alpha’s Wahlman was forcefully reminded of the fact that Tesla sales typically begin accelerating in the third month of every quarter, and on March 26 raised his estimate to 61K deliveries. A week later, on April 2, he pushed that number up one more time to the nearly spot-on 65K, in acknowledgement that reports from Europe were especially positive. After all the intense speculation, and somewhat anticlimactically, Tesla announced Q1 deliveries of 63,359. The initial reaction from bulls, bears, and the stock market in general was that this was a pretty bad number. 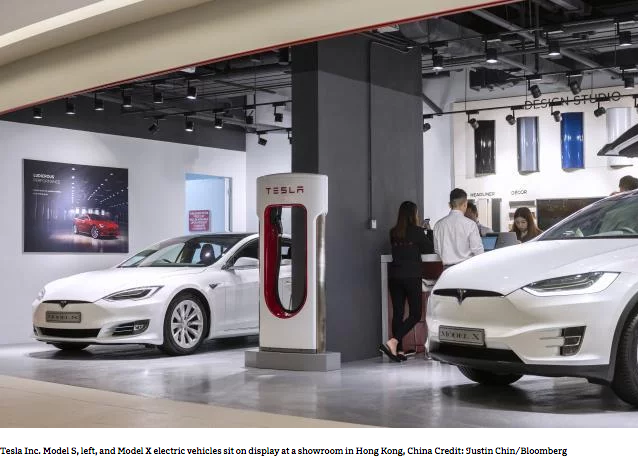 Nevertheless, it was just as obvious that total sales weren’t nearly as bad as many investors thought they would be, especially after the truly anemic estimates for January and February as reported on sites such as InsideEVs.com and EVSales. Moreover, I showed that the average rise from February to March sales from 2016 to 2018 was 54%. I’d like to suggest again that, although the historical record offers no guarantee of repetition, it remains deeply unwise to ignore it. One aspect of the Q1/19 decline that fell well outside of the historical pattern was the result for deliveries of Model S and X. In the following chart, I focus on deliveries of Model S from FY2014 to Q1 2019 in the US, Tesla’s key market. The following charts once again list sales only for Q1 and Q4 in each year, and show a regular, substantial decline from Q4 to the following Q1. They also show the even greater growth from Q1 to Q4 in every succeeding calendar year. All the numbers in the following two charts are taken from InsideEVs.com. Let’s follow the same process for Model X sales in the US. We begin with 2016 to give a foretaste of the emerging pattern, while recognizing that the true first full year of production was 2017. The drop in sales of both the MS and MX in Q1/19 went well beyond the seasonal pattern, falling by double the amount as in previous years. As mentioned, the first and most obvious cause of the shortfall was the 50% reduction in the tax rebate, pulling forward demand into Q4. Secondly, the shift in sales from high-margin MS (now 7 years old) and MX (now 5 years old) to lower-margin M3, clearly points to a cannibalization of the former by the latter. It’s worth noting that sales of MS and MX in Q1/19 dropped as dramatically in Europe as they did in the US. M3 deliveries in Q4/18 were 63,359. In Q1/19, they were 50,900, for a decline of “only” 20%. Once again, let’s put this simple fact into context. 1. Even without considering the “pull-forward effect,” the decline in M3 sales – or of Tesla’s flagship product – is not completely atypical for Tesla results since 2013, especially when considering sales of the MS and MX in the US. The average yearly decline from Q4 to Q1 for sales of MS and MX, discounting the decline in Q1/19, is 27%. 3. Tesla ran into further delays in their overseas shipments. 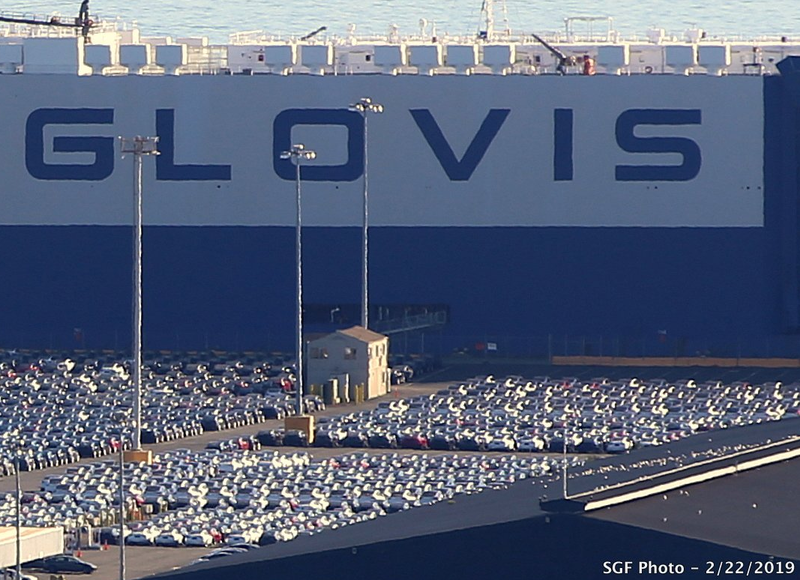 European shipments were initially held up in Zeebrugge by a dockworkers’ strike, and Tesla also had problems with the company they’d hired to take care of the deliveries. Musk tweeted at the time about “unexpected challenges”, and decided to take over all portside inspection, detailing and delivery. More seriously, deliveries to China were held up by mistakes in the labeling required by Chinese Customs. Deliveries did not go into “ludicrous mode” so to speak until the last half of March. 4. Despite all the headwinds, Tesla’s total sales in Q1/19 compared to Q1/18 rose by 110%. For a long time in 2018, such a huge increase was not at all expected, as many investors and analysts in the short camp refused to believe the company would ever be able to ramp production of its first vehicle aimed at a mass market. Now, just half a year later, the same analysts and investors remain unwilling to recognize how remarkable the ramp actually was. Growth of 110% in a single year would be considered a stunning achievement for any other car-maker, but the bears quickly poured their energies into other vectors of attack, including the CEO’s legal issues, Tesla’s accounting practices, and the like. 5. Perhaps the most important factor of all in the big picture is that there were 10,600 vehicles "in transit” at the end of Q1. These vehicles had been ordered (in some cases fully paid for), produced, and sent on their way to customers. We know that Tesla tried to rally the troops for an all-out delivery blitz at the end of Q1, but obviously didn't have the same success as they did in Q3 and Q4 of 2018. Notice the almost complete absence of anecdotes describing Tesla owners volunteering long hours at delivery centers to introduce buyers to their brand-new Model 3s. We see two factors at play here. The first is fatigue, so that even the staunchest Tesla supporters backed off from volunteering for yet another Dunkirk-like saving of the company’s future. But the second reason is that US deliveries in particular were justifiably but also negatively affected by the compromises Tesla made at the beginning of Q1. Tesla management, knowing that the vast majority of M3 production was going overseas, and that a huge part of S/X/3 demand had been pulled forward, decided to cut back on delivery personnel and showrooms in the US. For two months, this made perfect sense as a means of saving money. On the other hand, the company certainly knew there would be at least a small wave of demand at the back end of the quarter. It may have been a surprise, even to Elon Musk, that this quickly turned into “the biggest wave in Tesla’s history”. Hence, the calls made by Sanjay Shah and Musk himself in mid-March, asking for all hands on deck. Given Tesla’s typical pattern for back-end weighted delivery logistics, and given that a far greater percentage of M3 production will be going overseas for the coming few years, it makes sense in the short term to maintain smaller delivery operations in the US. The alternative would be to keep staff on board for all three months, even though they’d be under-utilized for eight weeks and then overwhelmed for the final four. Ultimately, Tesla’s inability to complete all potential deliveries by the end of Q4 will not matter very much. Recording extra deliveries and revenue of approximately $530m+ (10.6K X ASP of $50K+) in the front half of Q2 certainly doesn’t hurt the company, and investors might actually welcome a logistics reorganization that doesn’t aim so intensively at maximizing deliveries and minimizing inventory in the final three weeks of every quarter. The bear argument is presently focused in large part on the premise that 360K is an impossible dream, even for “Elon Quixote.” The opposing bull argument begins with Tesla’s historical average growth rate of 60% from Q1 to Q4, even though this implies nothing more than an expansion from 63K deliveries to 101,000 by Q4. Unfortunately, that won’t be enough to achieve minimal guidance, unless the four-quarter growth trajectory could be made to look something like 63K-97K-99K-101K = 360K. Off in the distance, I can hear bears rumbling with uncontrollable laughter, especially in the light of all the other wild targets (420K, 500K) thrown at the stratosphere by Tesla’s irrepressibly optimistic leader. Nevertheless, a closer, more detailed look at both the Q1 stats and their place in the historical context shows that the dream is not nearly as difficult as the short-term numbers imply. Start with a re-consideration of the 10,600 vehicles in transit, and suppose that 7,000 Model 3 and 600 S/X had been sold in the final two weeks of Q1 instead of the first two weeks of Q2. That would bring the in-transit number to 3,000, completely in line with the 3,000 in transit at the end of Q4/18. Suddenly, all of Tesla’s numbers begin to look a whole lot brighter. Total Q1 sales would move to 71K, and M3 sales would be close to 58K. As part of this discussion, it’s worth considering the recent history of estimations from a great little crowd-sourcing site run by Troy Teslike, focused on sales of M3. The first set of delivery estimates for M3 was published in Q2/18, and the average estimate was 90.5% accurate. In Q3/18, with a lot more input, the average estimate was 96.4% accurate, and Q4 scored even higher at 97.2%. In Q1, however, the average estimate was 58,369 deliveries, and the accuracy percentage plunged to 87%. I feel Teslike was punished unfairly by that extraordinary number of in-transit vehicles. As before, if only 7,000 cars had been added to Tesla’s total of 50.9K, Teslike’s accuracy would get back to 97%, or back to where it belongs. Q1 = 63,000 (50,900 M3 and 12,100 S/X). Q2-Q4 = 297,000 (241,100 M3 and 55,900 S/X). Specifically, Tesla would need to sell 80.1K M3 and 18.6 S/X per quarter until December 31. Here are suggestions for a plausible path to that goal. The projections for the next three quarters seem well within reach, under certain conditions. The main one is that demand in the US needs to recover from the post-rebate blues. Another is that demand for S/X worldwide needs to hang in there at 65-70% of 2017-18 levels, and to survive the ongoing full-bore cannibalization from the popular M3. This is not just an problem of demand, however, but also one of production. The highest level of production in company history was achieved in Q4/18, with 86,555 vehicles. That level was reached in part through the seemingly crazy erection in three weeks of a Sprung Building, housing an extra production line for M3. To reach deliveries of 112K in Q4 will require a 30% expansion of capacity at Fremont. To reach the overarching goal of 360,000 deliveries, production of S/3/X needs to hit 8,650 per week starting in October 2019. Tesla seems to believe it can achieve this without divine (or Chinese) intervention, effecting their plan purely through a realization of efficiencies at Fremont. As the company asserted in its Q4/18 “Update Letter,” their goal is to produce 7K M3s per week by the end of 2019. In sum, 13 weeks X 7K = 91,000 M3, exactly in line with the figure cited above. It’s practically impossible to quantify demand until after the fact, and so we all look to historical patterns to guide future predictions. For the past couple of weeks, the framing of the story has been controlled by the bear camp. Their version of history focuses in part on five quarters, beginning with the steadily increasing ramp of production from Q1/18 to the end of Q4, but followed by the supposedly catastrophic drop in Q1/19. The bull camp can take its cues from a much longer story, showing that Q1 has always been the runt of Tesla’s litter. At the same time, bulls need to acknowledge that the severity of the drop in Q1/19 signals potential for a breakdown of the pattern. There is no doubt that this severity can be explained by the pull-forward of demand, the three to four weeks required for overseas shipment, and the large number of in-transit deliveries, but the question is whether or not it can be fully explained away. Another way of assessing demand is to analyze the number of days vehicles spend in inventory. Tesla has long claimed to have the lowest days in inventory in the auto industry. According to Vladimir Grinshpun, the average processing period for Tesla has been 25 days, nosing out Subaru (26 days) for first place. For context, the average processing period in the automotive industry is 65-66 days. However, given the quantity of vehicles going to foreign ports in the coming year, and given the fact that production will remain exclusive to a single location in California for most of the coming year, Tesla’s processing period will be increasing by 20-25 days. Nevertheless, even under these new conditions, I feel confident that worldwide demand is solid, and that Tesla can continue to claim “delivery secured” for every vehicle it is able to produce. Taking the long view, I’m equally confident that Tesla will reach 360K deliveries by year-end, thereby fully laying to rest any concerns about either production or demand. Note: I’d like to personally thank SA member “Yasch22” for the great help he gave me with the concept of this article as well its editing process. Disclosure: I/we have no positions in any stocks mentioned, but may initiate a long position in TSLA over the next 72 hours. I wrote this article myself, and it expresses my own opinions. I am not receiving compensation for it (other than from Seeking Alpha). I have no business relationship with any company whose stock is mentioned in this article.